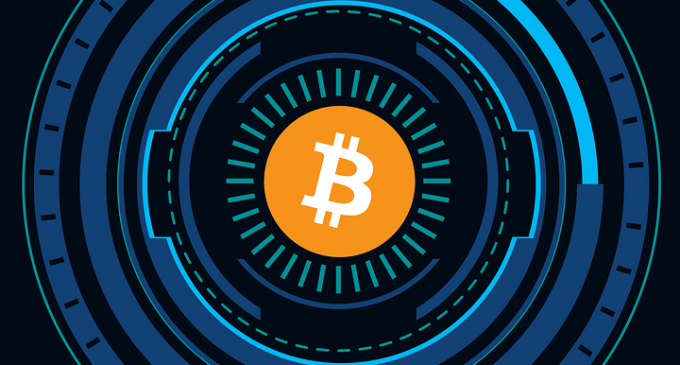 Following the massive breakout which took place on April 2nd, the Bitcoin had tempered and at the time of writing is struggling around the key $5,000 area. The most popular cryptocurrency had already started the month of April on an upbeat tone and despite the current consolidation, several important technical changes had occurred for the first time since many months ago. 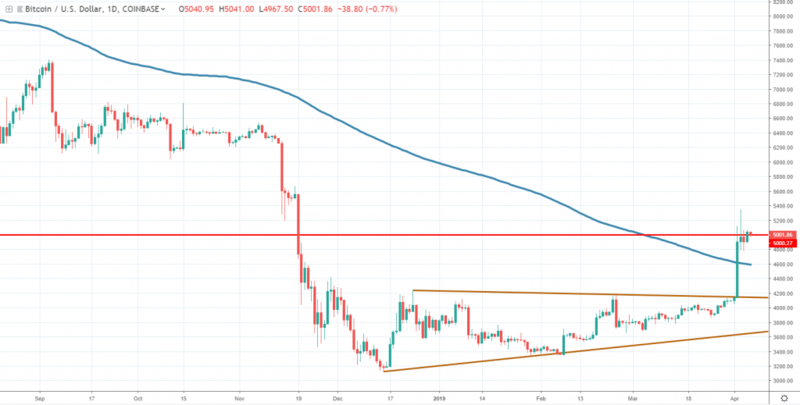 Probably one of the most important technical developments is the breakout above the 200-daily simple moving average, a situation which had occurred since mid-March 2018, when Bitcoin was trading around the $9,000 area. Since then, Bitcoin did not even manage to touch the MA, a confirmation of the strong bearish bias, which had erased more than 75% of the Bitcoin value. We’ve witnessing right now a textbook breakout scenario, with a solid breakout bar, which closed way above the moving average. The price action structure is also parabolic, a powerful price development, which communicates there had been a lot of strong buyers behind the impulsive move. Some rumors suggest that a 20,000 BTC order placed on several different exchange platforms had been behind the breakout above the triangle formation which we’ve discussed several times in the past. Although people are already claiming the breakout is a sign Bitcoin had bottomed, there are still some doubts over the reliability of the present rally. The first one has to do with the price action performance following the breakout above the daily 200 MA. Usually, following such an impulsive break you see follow-through buying and strong continuation in the direction of the break. Second of all, from a fundamental point of view, there is no important change in how Bitcoin functions, nor any significant news that could have generated such a strong breakout on the upside. Any trader must be fully aware that as a market in its early phases, the crypto market is subject to a lot of price manipulation. Particularly in Bitcoin, there are futures contracts and institutions that are actively trading it. Their ability to place big orders in the market gives them the potential to influence prices in a meaningful way. Institutions generally want to trap retail or beginning traders and use that liquidity to get in and out of the market. Considering the signs of worry mentioned above, one should question seriously before deciding to place a Bitcoin buy order right now.